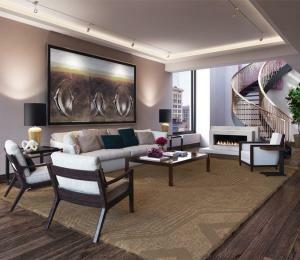 Besides writing books, acting, blogging, producing, hosting shows, and arguing with Donald Trump, Rosie O’Donnell has found time to purchase a duplex penthouse at 130 West 12th street. 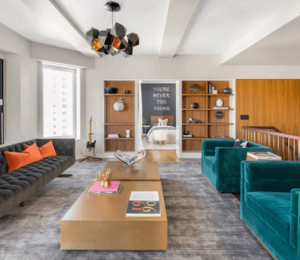 Rosie purchased the 3202-square-foot, 4-bedroom and 3.5-bathroom apartment for $8 million, which makes it just 1.8% over asking of $7.95 million. From the kitchen the apartment boasts nice views of the Empire State Building and also has a cozy 435-square-foot terrace facing North-West ready for enjoying terrific sunsets. The deal was closed a few months ago, but has just been reported by The Observer as they spotted the public reports discovering that Rosie was the buyer. Apartments next to Rosie can be found on the Greenwich Village list. 130 West 12th street is a LEED certified (Green building) new construction located in Greenwich Village between 7th Avenue and Avenue of the Americas. It was built in 1941 but completely renovated and converted to a condominium in 2011. 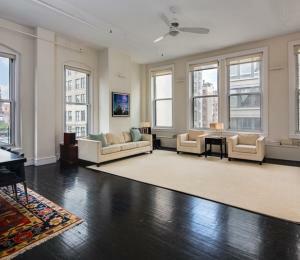 It offers amenities like a fitness room, private storage and a rooftop deck.